KUALA TERENGGANU (April 15): The Pakatan Harapan (PH) government needs another six months to repair the damage left by the previous government and bring the country back on track after taking over the administration in May last year. 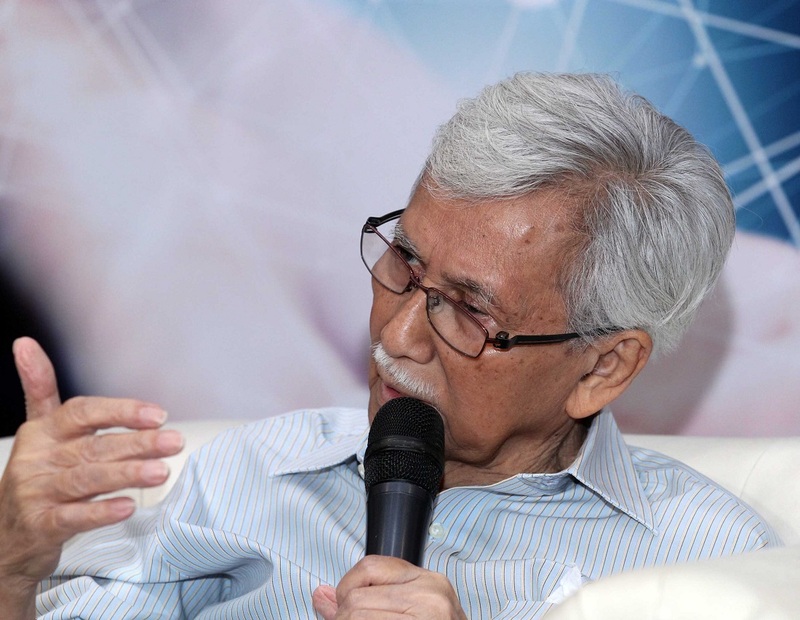 Council of Eminent Persons chairman, Tun Daim Zainuddin (pictured) said during that period, PH had to face the people and give accurate explanation when needed, especially on economic-related matters, so that the people would understand the current situation. He said the PH’s defeat in the Rantau by-election on Saturday was part of the challenges that need to be tackled as the people were losing their patient. “I think the government needs another six months to fix the situation, not only in terms of economic development but also in other issues. The people need to understand this,” he told reporters after attending the Bicara Darul Iman Programme here yesterday, which was also attended by Menteri Besar, Dr Ahmad Samsuri Mokhtar. “The government has a lot of problems to think about...including national security, foreign relations and defence...if anything goes wrong someday, the people will blame the government. Yes, we can reduce the price of goods, we have conducted a study on how to do it…InsyaAllah, the price will be reduced soon. I think a lot of things will be more stable in another six months,” he said. Daim also described PH defeat in Rantau as a manifestation of the people’s anger over the rising price of goods, which reasons unknown to them. Asked whether the people’s perception on the government’s performance would improve, he said that would happen as soon as the government was able to solve their problems, such as the rising cost of living and fulfill all their manifesto promises. “It’s not hard to explain to the people. If it cannot be done, just say that it cannot be done. Tell the people why it cannot be done...there must be a reason for that. It’s not like something can be done but the government decides not to. That is why it must be explained to the people,” he added.